After a poll on the guild to establish interest, we decided to proceed with artwork for a new t-shirt. 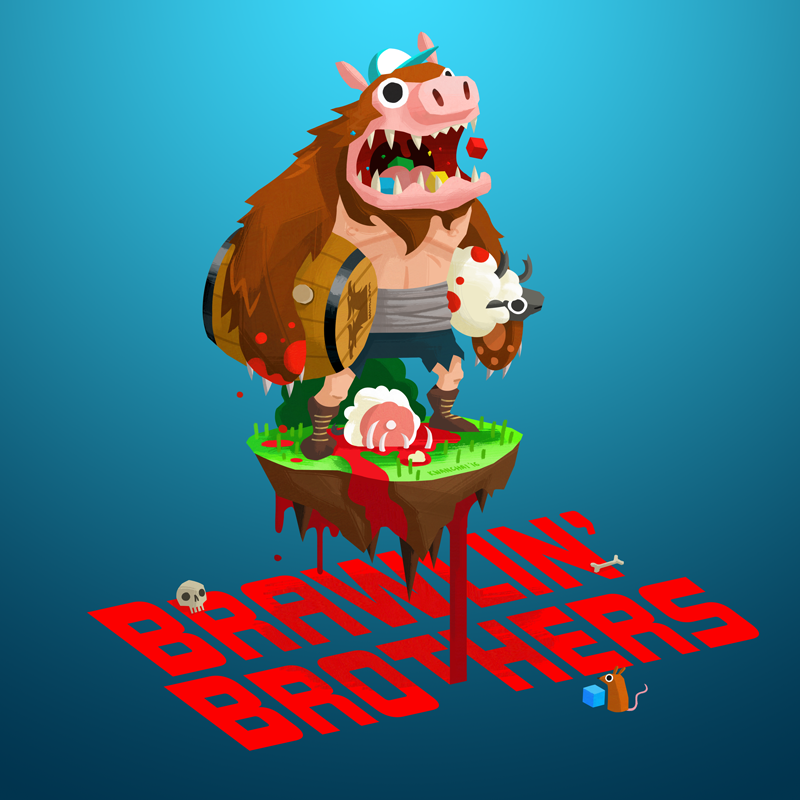 We approached one of our favorite artists in all of boardgaming, Kwanchai Moriya (Catacombs, Island Hopper, Isle of Monsters, Kodama, Capital Lux) and asked him to let his imagination run wild and give us the true ManBearPig. We are absolutely tickled at how this amazing piece came out! T-shirts with this design will be offered in the near future…. We are currently working out the details and will post here and on the guild just as soon as everything is arranged.